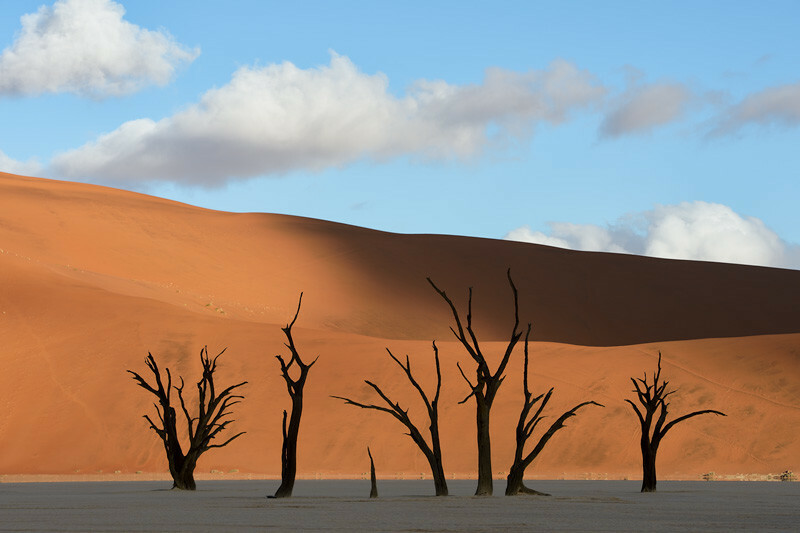 The trees in Deadvlei, Namibia, are said to be between 600-700 years old. The reason that they’re still there is two-fold. First, these camel thorn trees are made of really dense, hard wood. And second, the air in this region is extremely dry - this is basically one of the driest places on this planet. The trees won’t rot, even if they wanted to. What’s so typical about these skeletons, is that they’re almost black. Well, that’s purely the result of the sun baking them for hundreds of years. Reminds you of putting some sun screen on when you’re here.